Gnawing on a pencil. Drinking a soda during lunch. Munching on cubes of ice. We’ve all done these things, yet most of the time we don’t realize what we’re doing to our mouths. These everyday habits wear down our teeth and can lead to oral health problems in kids and adults. Keeping permanent teeth is important as you age. Dental experts say that daily brushing and flossing, regular dental exams and professional cleanings may not be enough if you’re also hard on your teeth. 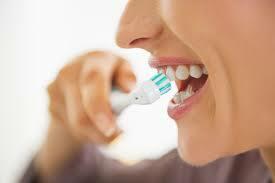 Here’s a list of seven habits that can damage your teeth. Chewing on ice is something a lot of people do because it provides a certain sensory satisfaction. Even though there’s really no taste to ice, the cold temperature and crunchy texture is appealing to many. But chewing on ice is actually quite bad for your teeth’s enamel. Enamel is a protective layer that keeps your teeth strong and healthy. But without if that enamel breaks down, your teeth can be exposed to more bacteria and may be more susceptible to cavities. Furthermore, the hard consistency of ice can damage dental work, or even cause small cracks to form in your teeth. Over time, these cracks may become larger, letting in bacteria and perhaps even causing your teeth to fracture. Can Energy Drinks Affect Your Liver Or Kidneys? 6 Weird Things Men Like in Women!! !